Clan are a stoner rock band from Norwich, UK that exemplify the sound of the genre as well as any band of this century or the last. The mix of sound and style they are able to seamlessly incorporate into their music makes for something exciting, something quite fresh and new within perfectly executed familiar sounds. The fuzz packed riffs on every song are thickly sweet and mesmerizing. The vocals from front-man and lead guitarist Matt Pearce are singular, powerful, compelling, exotic, and provocative. Yes, they are that good and that unique. There are 9 songs and an intro on this full length album, so the achievement is commendable in that each track is an intricate, hooky, and memorable display of the band's tapestry of skill and endeavor. The melodies are fun and addictive, whether letting the power of Giller's stickwork course through the inner pathways of your neural system, or allowing the immense horsepower of Rabong's deep bass rhythm overwhelm your sensory presence, or thrilling to the double onslaught of Pearce's vocals and masterful riff-bringer guitar. 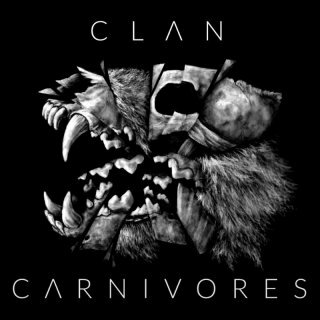 Clan bring a lot of old school mentality to their brand of hard rock by focusing first on melody before overlaying their well-crafted ditties with powerful, familiar stoner fuzz, which makes for great excitement on the first spin through the nine tracks, and immense enjoyment on each subsequent spin.